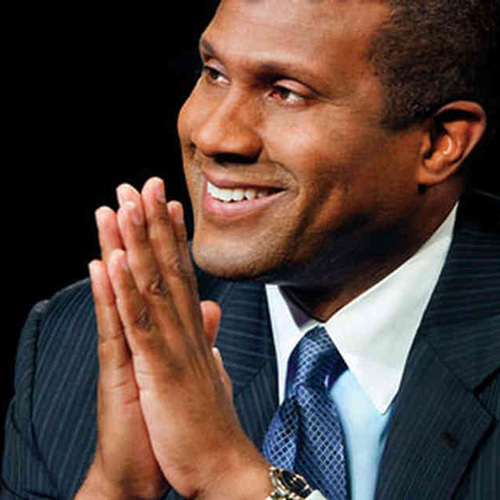 The Greater Burlington Multicultural Center welcomes Tavis Smiley. From his celebrated conversations with world figures to his work to inspire the next generation of leaders, broadcaster, author, publisher, advocate, and philanthropist Tavis Smiley has emerged as an outstanding voice for change. Smiley is currently the host of the late-night television talk show Tavis Smiley on PBS as well as The Tavis Smiley Show and Smiley & West from Public Radio International (PRI). In addition to his radio and television work, Smiley has authored 16 books. His memoir, What I Know for Sure: My Story of Growing Up in America, became a New York Times best seller, and the book he edited, Covenant with Black America, became the first nonfiction book by a Black-owned publisher to reach #1 on The New York Times’ best-sellers list. In his latest title The Rich and the Rest of Us: A Poverty Manifesto, Smiley and his co-author Dr. Cornel West take on the “p” word — poverty. In this game-changing book, they challenge all Americans to re-examine their assumptions about poverty in America — what it really is and how to eradicate it. Smiley is the presenter and creative force behind America I AM: The African American Imprint. This unprecedented traveling museum exhibition, which debuted in January 2009, will tour the country for four years, celebrating the extraordinary impact of African American contributions to our nation and the world, as told through rare artifacts, memorabilia, and multimedia. Smiley’s most gratifying accomplishments are rooted in his passion to inspire the next generation of leaders. The nonprofit Tavis Smiley Foundation was established to provide leadership training and development for youth. Since its inception, more than 6,000 young people have participated in the foundation’s Youth to Leaders training workshops and conferences. His communications company, The Smiley Group, Inc., is dedicated to supporting human rights and related empowerment issues and serves as the holding company for various enterprises encompassing broadcast and print media, lectures, symposiums, and the Internet. Smiley’s achievements have earned him numerous awards and honorary doctorate degrees, including one from his alma mater, Indiana University. In 2009, Indiana University named the atrium of its School of Public and Environmental Affairs (SPEA) building “The Tavis Smiley Atrium.” Smiley is also the recipient of the prestigious Du Bois Medal from Harvard University and the 2009 Interdependence Day Prize from Demos in Istanbul, Turkey. The event is free and open to the public, but tickets are required to attend and can be obtained from Fletcher Free Library (235 College Street) or City Market (82 S Winooski Avenue) in downtown Burlington. Brought to you by the Greater Burlington Multicultural Resource Center.